Russians sometimes seem offended at any American expression of pride over victory in WWII. Despite all those Red Army rations, medical supplies and equipment stamped “made in the USA” it is as if Russia fought Germany all by herself. 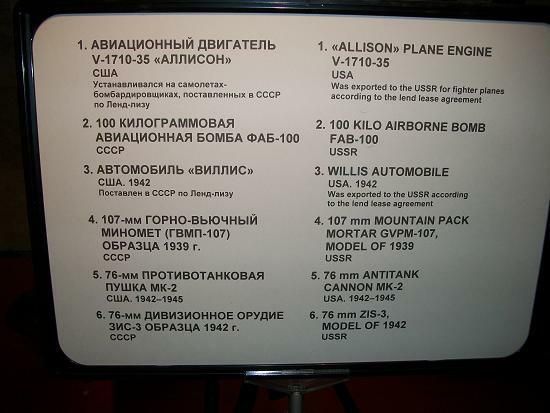 Several American contributions listed at Moscow's Victory Park museum. 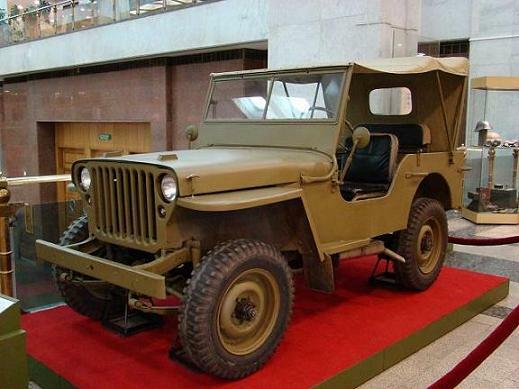 American Jeep displayed at Moscow's Victory Park museum. Americans are equally ignorant of the price paid by the Eastern side in obtaining that joint victory. So just where does that leave the British? Unfortunately, the British contributions are often overlooked and that is a mistake because the English were of utmost importance in the winning of that war. Granted, the typical American reaction is that “we bailed them out” and the typical Russian reaction is that Britain delayed in opening a 2nd front and thereby cost millions of Soviet lives. There is truth is both those views but a lack of appreciation as well. The Brits played a front-line role and held the war open long enough for the giant American industrial machine to enter the fray making the difference without which both Russkies and Brits would be speaking German in public schools today. But did Churchill just hold the door open long enough to be rescued? Not on your life. Winston Churchill played a leading role, as did the British people, in winning the war. I said and meant a leading role. Russians need to remember that British, Canadian and American soldiers fought bravely and died without the threat of political officers who remained in the rear to shoot Red Army deserters, even though they were defending freedom of someone else. That is not meant to be critical of Russian soldiers, but the voluntary service displayed by many British and American soldiers is a hard concept for some Russians to swallow. Americans need to learn that somewhere between 25-28 million Soviet citizens and soldiers were killed in the brutal fighting, making American deaths, while important, in terms of statistics a mere drop in the bucket. 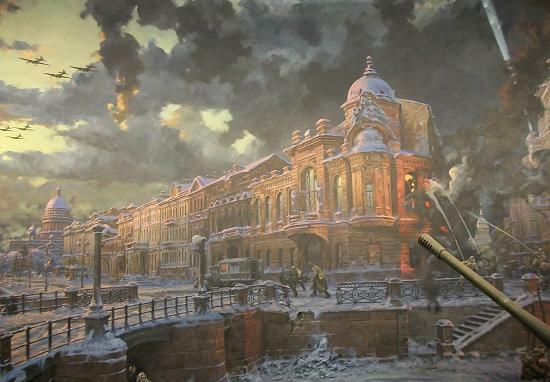 Photo taken of a full room mural inside Moscow's Victory Park museum. The war was costly for everyone and both Russians and Americans should brush up on Britain’s brilliant war strategies and unselfish personal and national sacrifices. The Battle for Stalingrad–winners and losers.